As an investor-friendly real estate broker in the Tampa Bay area, one of the questions I get asked most frequently by real estate investors is “What areas should we target for our real estate investments, and what areas should we avoid?”. When searching for investment property listings for real estate investors, I am constantly drawing shapes on the map to include and exclude certain areas, whether it’s because an area has appreciation potential, or perhaps has a higher that average crime rate, or is located in a flood zone. It occurred to me that it might be useful if I shared some of these thought processes with you, while looking at the map! I hope you’ll find this information helpful when looking for investment properties in Tampa Bay! I have a similar video titled Flood Zones 101 that will show you where the FEMA flood zones are located in the Tampa Bay area. Happy hunting! 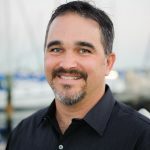 Jeff Copeland is an investor-friendly real estate broker and property manager in St Petersburg, FL. Have additional questions about real estate investing in the Tampa Bay area? Drop him a line at jeff@copelandmorgan.com! Next PostFlood Zones 101: Where are the Flood Zones in Tampa-St Pete-Clearwater?